Product prices and availability are accurate as of 2019-03-07 20:45:49 UTC and are subject to change. Any price and availability information displayed on http://www.amazon.com/ at the time of purchase will apply to the purchase of this product. 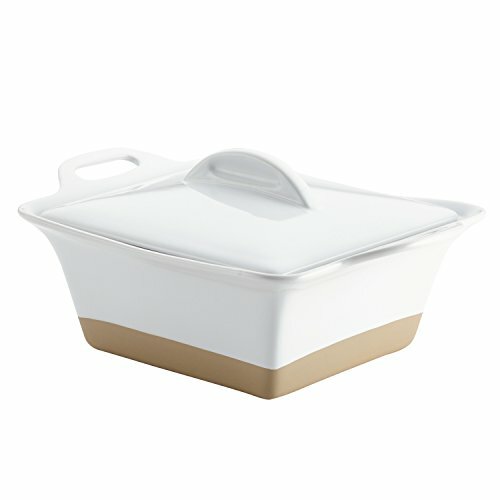 Cozy up in the kitchen to the comfortable, colorful performance and style of the Rachael Ray(r) 2.5-Quart Stoneware Square Casserole. Crafted from sturdy stoneware with a vibrant, stain-resistant glaze, this casserole is inspired by Rachael's time in Copenhagen and her love of hygge [hoo-gah]: a look of coziness, enjoying the good things in life, a state of mind. 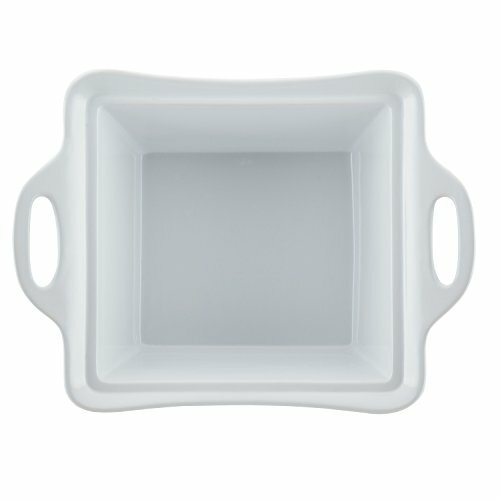 Bake up some comfy meals in contemporary colors, unique shapes and durable materials in versatile pieces that everyone will appreciate. Brown some cheesy chicken tetrazzini or spicy beef enchiladas knowing cleanup will be a cinch, since the casserole's exterior and interior glazing is dishwasher-safe. It's also safe for use in the microwave, freezer and oven - up to 500 DegreeF. 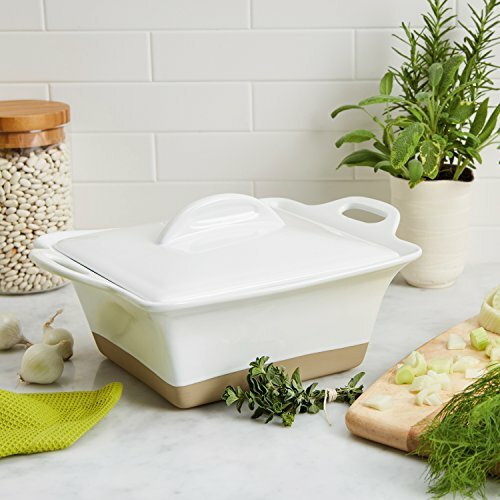 The casserole's square shape makes it easy to get a good grip when pulling Rachael's delicious Beef Pot Pie Casserole with Cheddar Poppy Crust out of the oven, and the wide, comfortable handles aid in transferring the casserole from oven to table. 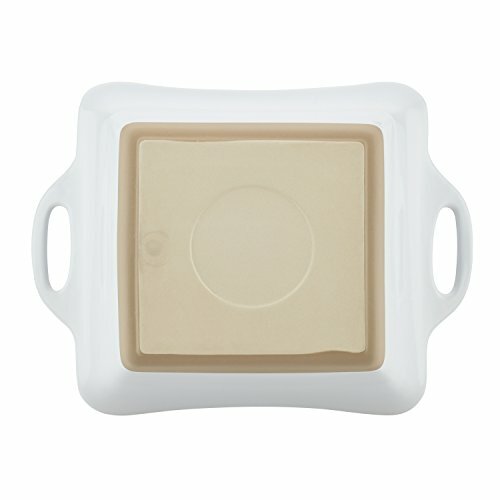 A tight-fitting lid locks in heat and moisture while baking, and comes in handy for storing foods in the fridge or freezer for a later time. 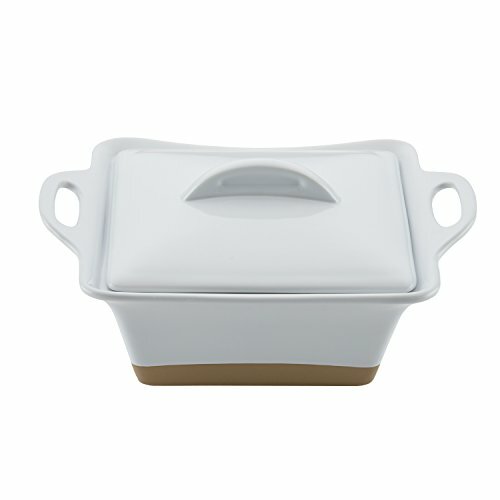 This casserole also coordinates great with many other Rachael Ray kitchen pieces. Bake, freeze and serve yummy comfort food dishes in this versatile Rachael Ray Stoneware 2.5-Quart Covered Square Casserole that puts cooking in hand and sets the mood for Copenhagen Coziness to let relaxing mealtime moments begin.